Friday’s mail run brought two ‘squishies’ in the mail. One was this pair of blocks from the QIAD Birthday Block Swap. I signed up for this swap at the beginning of the year. We picked the color/block we wanted, then on your birthday everyone in your group sends you a block. I think I’ve sent out 3 blocks so far this year, have 3 made to be sent later in the year and need to make another 5. As for my other ‘squishy’, it really wasn’t very squishy. It was my new Martelli Rotary Cutter. I love this thing, and had completely worn out my original cutter. For the last week I’ve been using a Fiskar cutter which is OK, but my not my favorite. 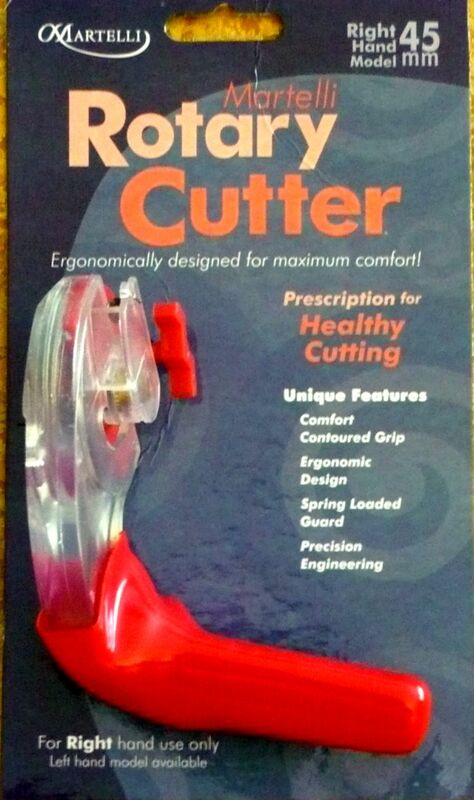 I’m SO glad this cutter finally arrived.